Sign up before doors close! Would you like to approach each day with less stress and anxiety? Do you struggle to pray consistently? Are you uncertain that you know the right words? Are you uncertain about how to even begin? 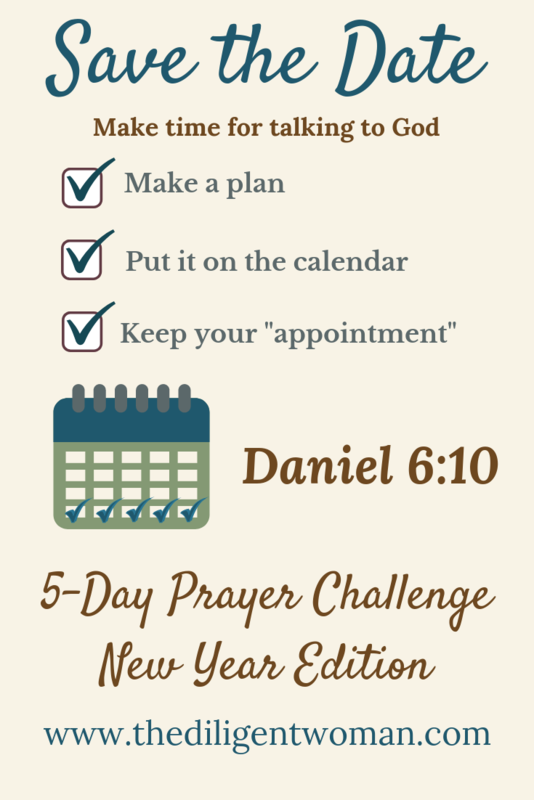 Sign up to take the New Year Edition 5-Day Prayer Challenge with The Diligent Woman. The 5-Day Prayer Challenge will teach you how to pray, how to be confident that you are being heard, and how to avoid being repetitious. It will help to remove the guilt and give you a proactive way to start talking to God. Barriers will be torn down. This challenge will break down what types of prayer there are and give a foundation for prayers you can be certain God will hear. In the New Year edition, you will also learn to pray for all of the areas of your life using Proverbs 31:10-31 for our model. You will ask God to help you to prepare as a woman, wife, mother, friend, or businesswoman. 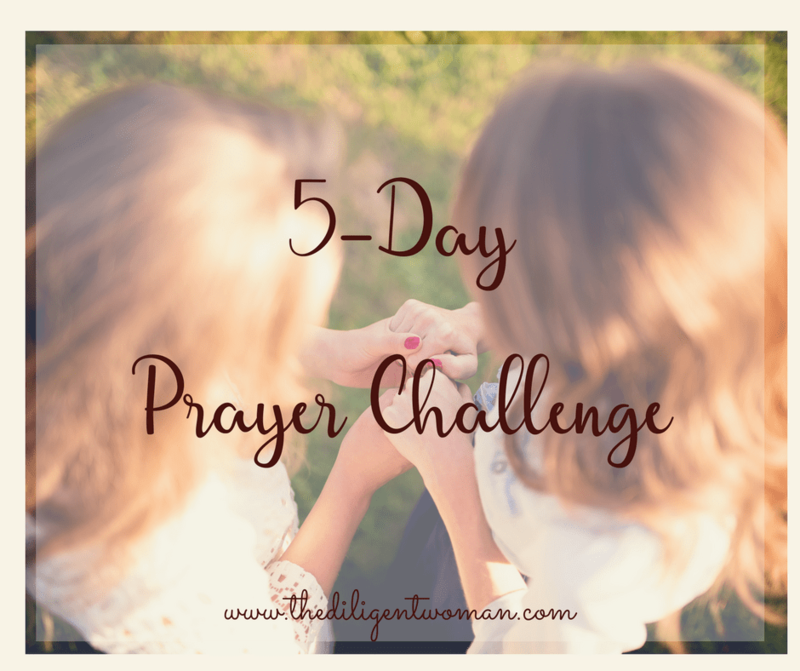 Join the 5-Day Prayer Challenge Today! Personal Support throughout the Challenge. I would like to get emails from The Diligent Woman. Get my FREE challenge now! The prayer challenge is designed to remind you that God is waiting to hear from you! We can be overwhelmed by all that needs to be done. We can feel anxious that we are not up to the challenge. This prayer challenge will help you to stay grounded and at peace as you make your plans and share them with God. 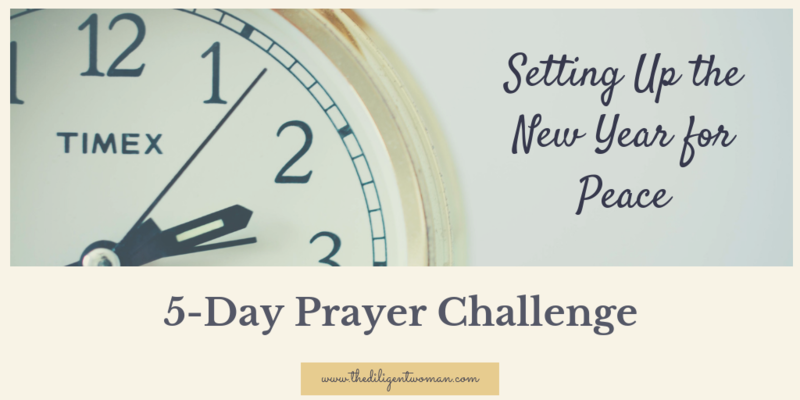 Get the 5-Day Prayer Challenge Today! 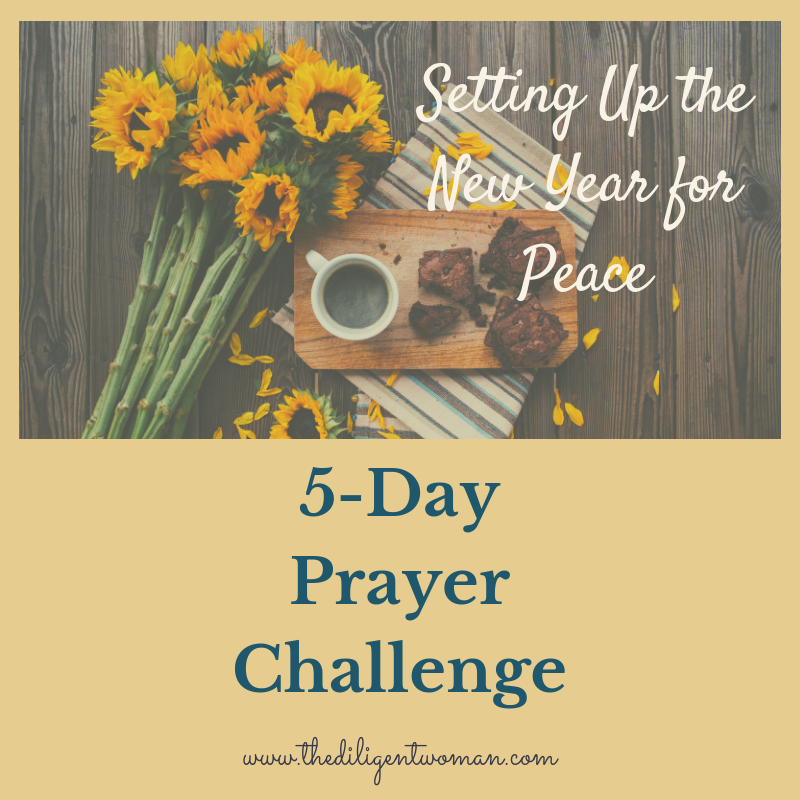 I look forward to going through the Holiday Edition 5-Day Prayer Challenge with you!